Investors who are looking for an investment that offers stability of the corpus and good returns can invest in Franklin India Equity Savings Fund. This is new fund offering, we are reviewing for you. It is an open-ended fund. This means you can invest in it even after it closes and lists. Please note – the Fund offer closes on 17 August. 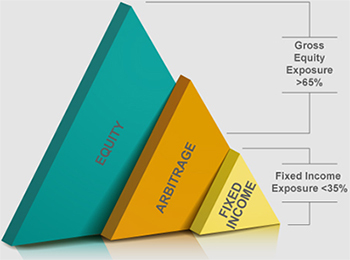 You are investing in equity – historically, the right investment in equity is always a favourable one. The key is to invest in the right place. Franklin India funds have a good track record. Rest assured, this is a safe place to invest in equity. You may wish to invest in equity, but you are also conservative. You don’t like market volatility. You don’t want to endanger the corpus invested. This is the right fund for you. Franklin India equity savings fund is a blend of Equity, Fixed Income, and Equity Arbitrage. What this means is; the fund will invest 1/3rd of Money in Fixed Income instruments like deposits and bonds, 1/3rd in High quality equity stocks (may be HDFC Bank, Titan, Nestle, Asian Paints, Colgate, Infosys and others) and 1/3rd in equity arbitrage opportunities arising out of spread between cash and future market. The portfolio construct is such that it helps achieve three key investment tenants of growth, income, and tax efficiency. If you want to conserve some part of your funds but want it to be tax efficient and earn better than FD, this is the fund for you. Investors with an investment horizon of 1 year and above should invest. Investors who are seeking growth, but are less comfortable with equity market volatility should invest. Investors who are seeking better gains than available as fixed income investments, with marginally higher risk, and better potential post-tax returns than conservative hybrid funds with marginally higher risk. Franklin Templeton as a fund house has a strong pedigree and performance record. Mr. Lakshmi Kanth Reddy is the fund manager. Our conversations with him have convinced us that the mandate for this fund is in good hands. Lakshmi Kanth Reddy believes – “Equity markets are never linear, there are periods of volatility. Periods of happiness will more than make up for the periods of disappointments in long term”.